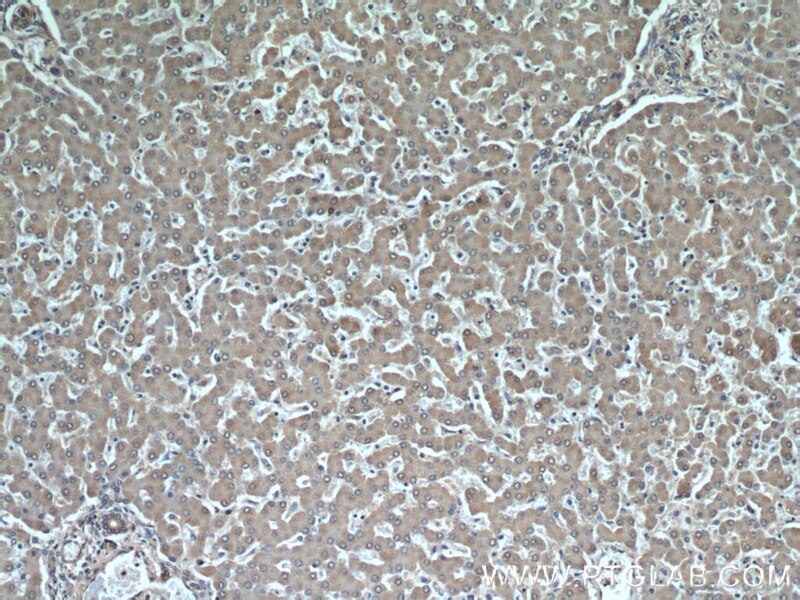 Immunohistochemical analysis of paraffin-embedded human breast cancer tissue slide using 16139-1-AP (MRPS18B antibody) at dilution of 1:200 (under 10x lens) heat mediated antigen retrieved with Tris-EDTA buffer(pH9). 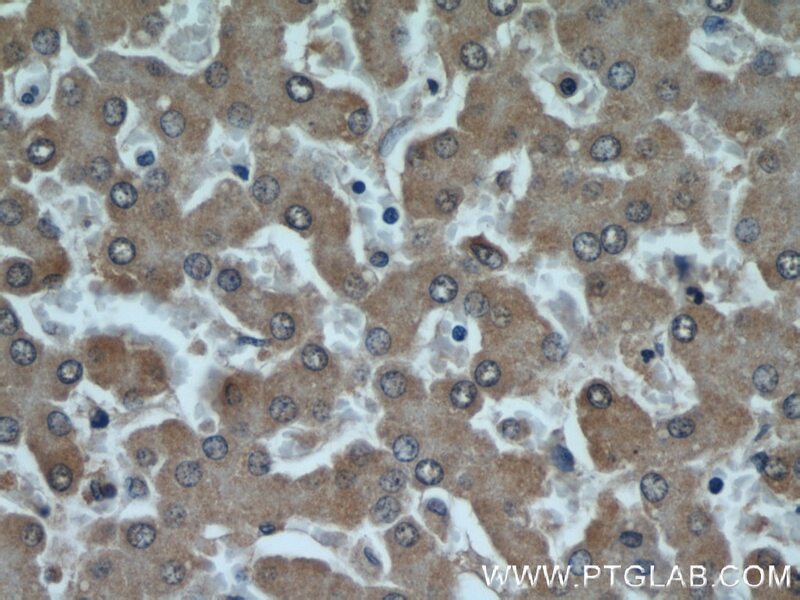 Immunohistochemical analysis of paraffin-embedded human breast cancer tissue slide using 16139-1-AP (MRPS18B antibody) at dilution of 1:200 (under 40x lens) heat mediated antigen retrieved with Tris-EDTA buffer(pH9). 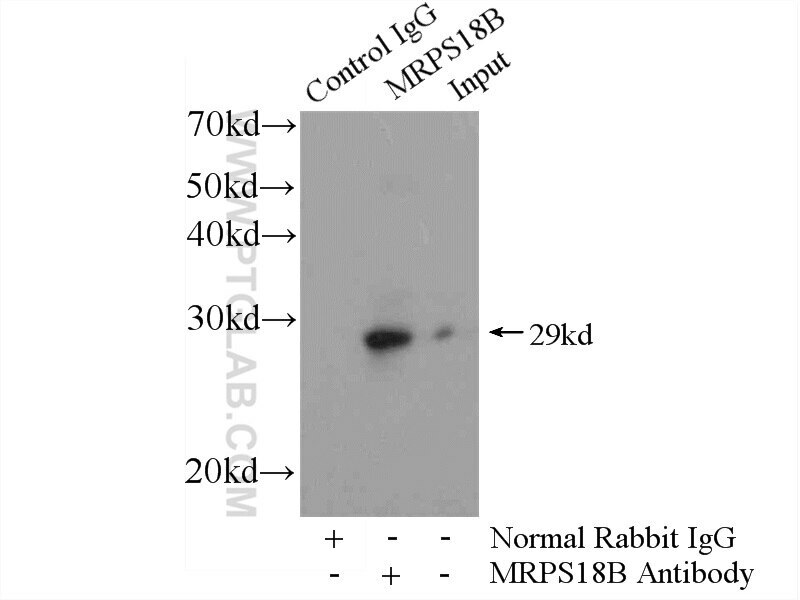 Immunofluorescent analysis of HepG2 cells using 16139-1-AP(MRPS18B antibody) at dilution of 1:50 andand Rhodamine-labeled goat anti-rabbit IgG (red). 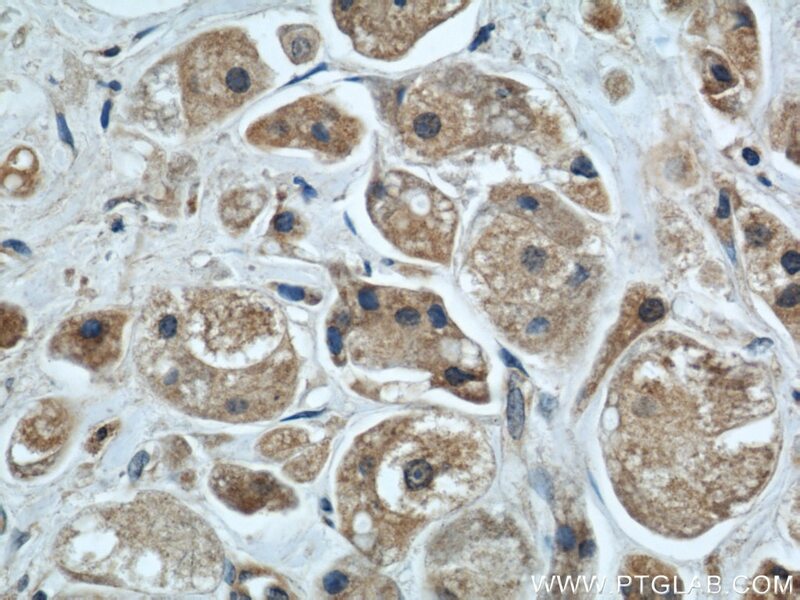 IP Result of anti-MRPS18B (IP:16139-1-AP, 4ug; Detection:16139-1-AP 1:1000) with HeLa cells lysate 2800ug. 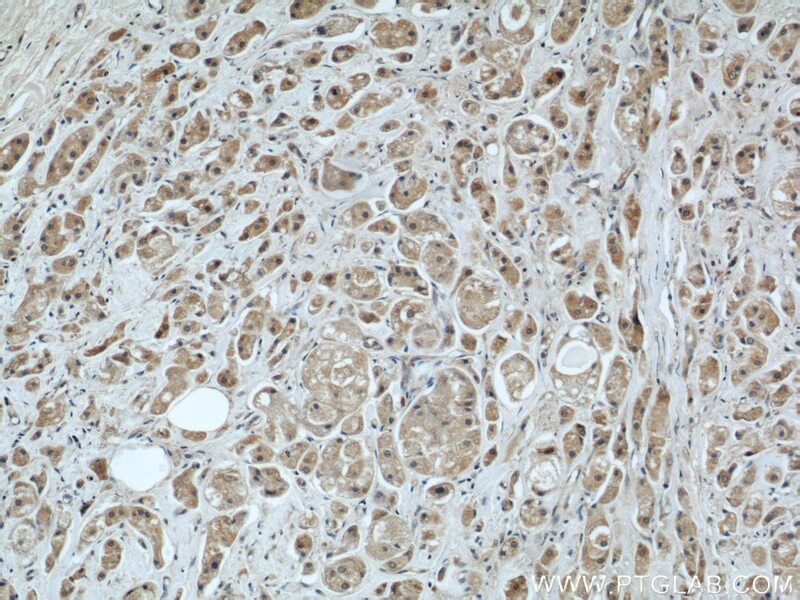 MRPS18B, also named as S18mt-b, MRP-S18-2 and C6orf14, belongs to the ribosomal protein S18P family. It is a component of the mitochondrial ribosome small subunit (28S) which comprises a 12S rRNA and about 30 distinct proteins. 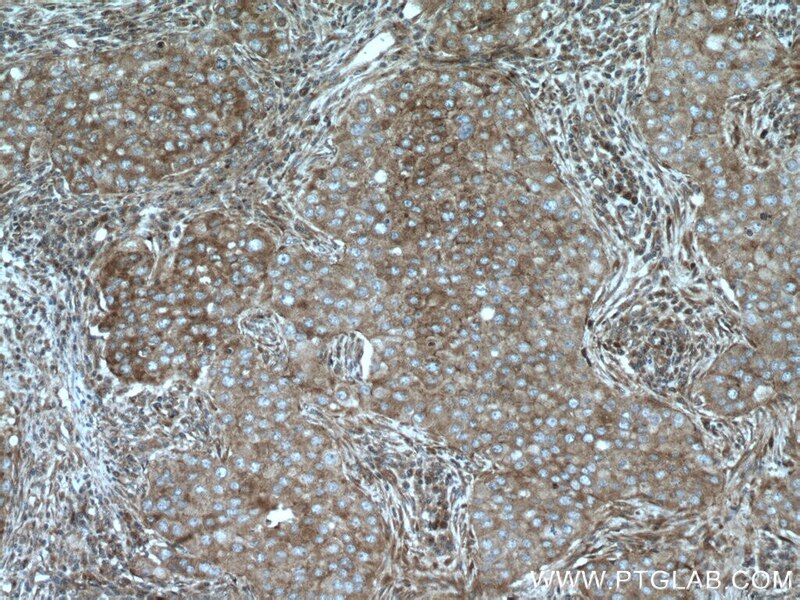 This antibody recognizes specifically the 29 kd MRPS18B protein. 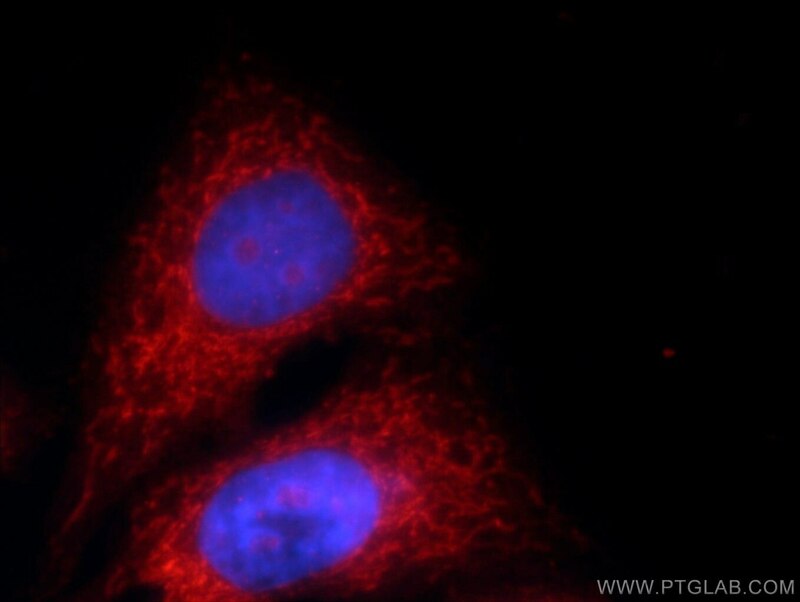 Targeting of the cytosolic poly(A) binding protein PABPC1 to mitochondria causes mitochondrial translation inhibition. 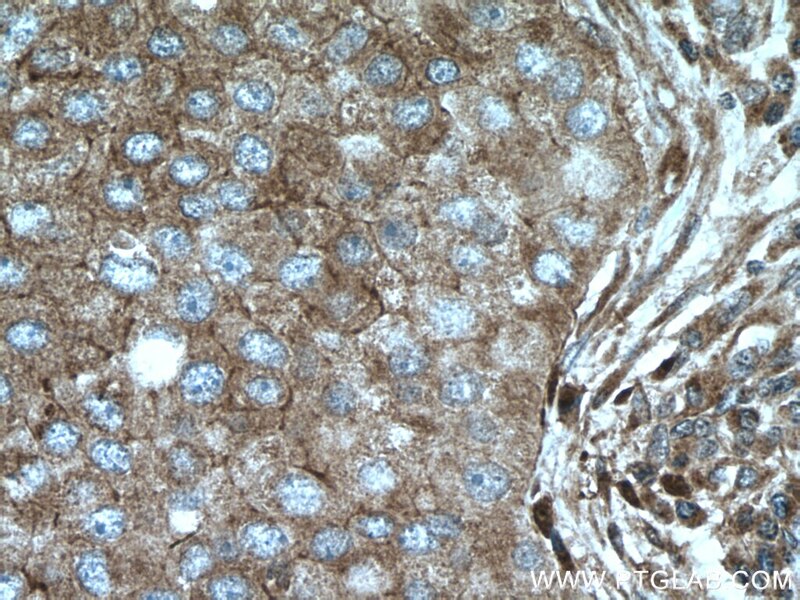 Human ERAL1 is a mitochondrial RNA chaperone involved in the assembly of the 28S small mitochondrial ribosomal subunit. NOA1 is an essential GTPase required for mitochondrial protein synthesis. C7orf30 specifically associates with the large subunit of the mitochondrial ribosome and is involved in translation.